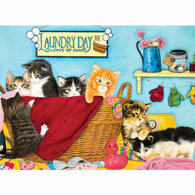 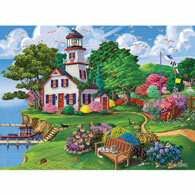 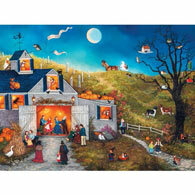 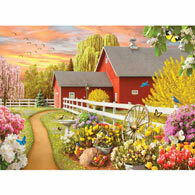 This 1000-piece jigsaw is designed by Jane Maday and measures 20" X 27". 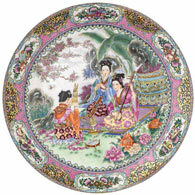 A group of birds sit in a nest surrounded by berries and flowers. 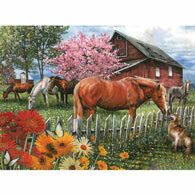 They make their nest next to a lost watering can.